Domestic Bliss Appointments www.domesticblissappointtments.co.uk has a whole range of posts currently available and we are able to update or apply for your Enhanced DBS Check once we have placed you in a new role. DOMESTIC BLISS APPOINTMENTS LIMITED MAKES NO CHARGE FOR THE ADMINISTRATION OF A DBS. Employers may wish to check the criminal record of someone applying for jobs in their house with their possessions and their children in mind. It is now an accepted part of the application process for jobs in Private Households especially with families to request a full criminal record check be carried out by Domestic Bliss Appointments once an offer has been made prior to having new members of staff join their households. This is known as getting a Disclosure and Barring Service (DBS) check and is usually the enhanced version. A DBS (Disclosure and Barring Service) check, once known as the CRB (Criminal Records Bureau) check, is becoming important when working within the Private Household industry assuring employers and prevent unsuitable people from working with vulnerable groups, including children. 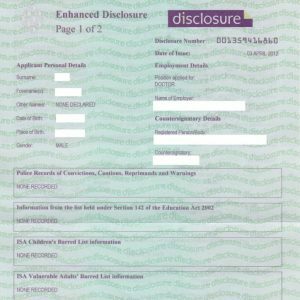 Basic DBS – the lowest level of disclosure which checks the Police National Computer for details of all current criminal convictions. Often used to support an immigration application, to vet prospective tenants or to volunteer. This can be obtained by anyone. Standard DBS – covers those who need to be of ‘good character’ and not have a criminal record. Organisations employing someone in this sort of position want to assure themselves that the people they are considering don’t have a lengthy criminal record for dishonesty, drugs offences or violent crimes. Enhanced DBS – the highest level of disclosure required will show the following offences: sexual, violence, the supply of drugs and safeguarding. The agency we use specialises in schools and Checks have come back sometimes the same day. You should normally receive a copy of your DBS Check in a month. A DBS has no official expiry date but the bureau states DBS checks be renewed at least once every 2 to 3 years if the person is in the same employment or when changing employers to get a new one. DOMESTIC BLISS APPOINTMENTS LIMITED MAKES NO CHARGE FOR THE ADMINISTRATION OF A DBS. 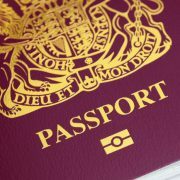 You must provide a range of ID documents as part of the DBS check application process.